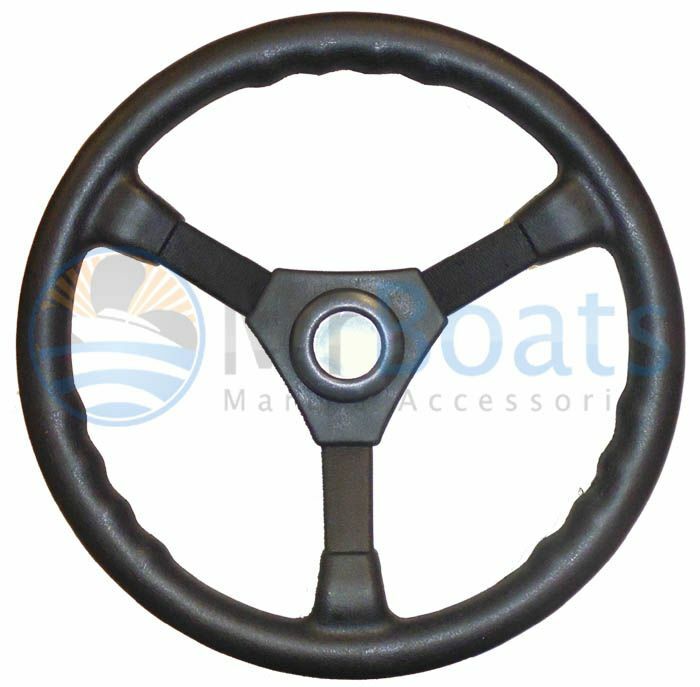 Brand new Black 3-spoke Boat sports steering wheel. 340mm / 13 Inches Diameter. Plastic with modeled hand grips. 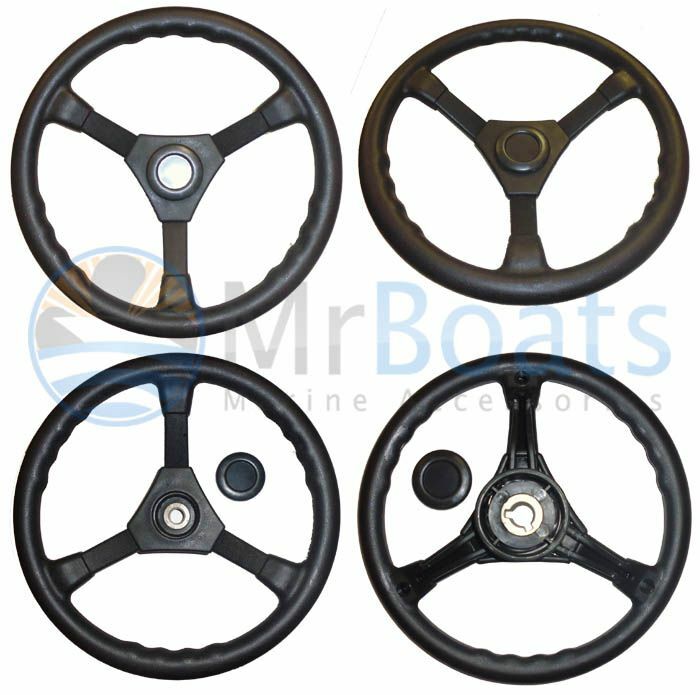 3/4 Inch tampered shaft to suit most marine / Boat set-ups.